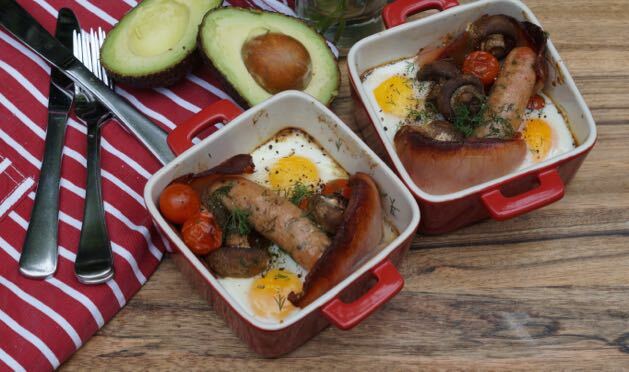 Look at how cute these Mini Breakfast Bake Ups are! We love them because a. they are cute b. they are delish and c. there’s hardly any washing up afterwards! These Mini Breakfast Bake Ups officially make for the easiest and most delicious brunch! Cut up fruit for delish fruit platter. Leave in fridge. Prepare mini breakfast bake ups (minus the eggs). Leave in fridge. 10 minutes before guests arrive. Place fruit platter and coconut yoghurt on table. 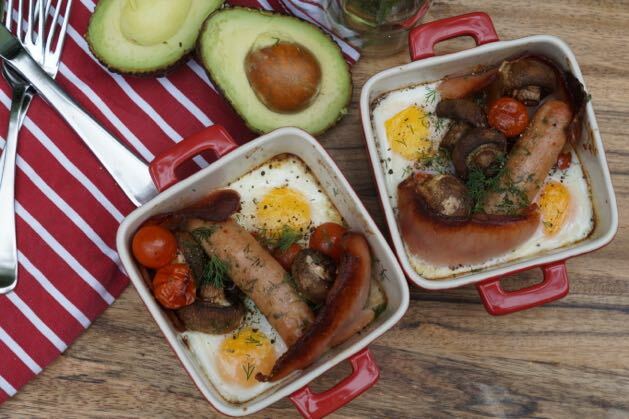 Wack the brekky bake ups in the oven. Friends arrive and you all enjoy fruit platter. Oven buzzer goes off, crack eggs into bake ups! Oven buzzer goes off, serve delish healthy brekky bake up. Your friends love you forever. Preheat oven to 180°C (350°F) and get 4 small ceramic baking dishes (to serve in as well). In each dish place 2 rashers of bacon, 1 sausage, ¼ of the cherry tomatoes, 3 mushrooms + ¼ of onion. Drizzle with some oil and sprinkle with some dill. Take the dishes out of the oven, turn the sausages. Make 2 small spaces for the eggs, crack the eggs into the spaces. Place them back into the oven for a further 10 minutes or until your egg whites are cooked. 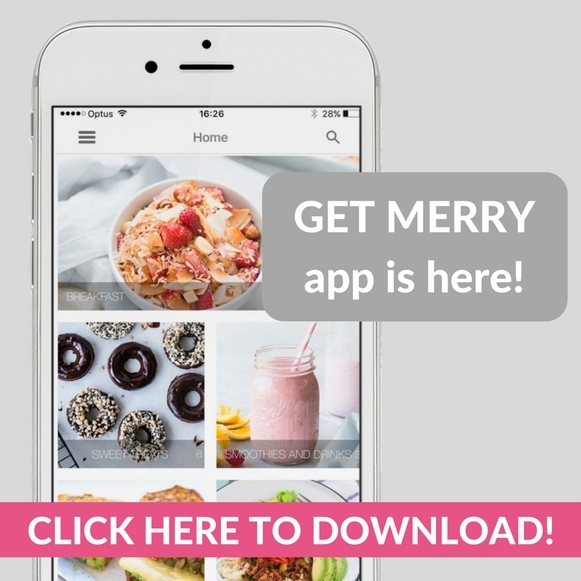 Merrymaker tip: Be careful when serving in the baking dishes. You might want to put them on to another plate coz they will be HOT!